After months of poking about with various task management tools, I've settled on OmniFocus from The Omni Group. I'm having a good time collecting web resources into each project. Simply highlight any text, right-click, and send it off to OmniFocus Inbox or right through into the select project. It's already handy having all my data nested. Projects become richer by adding task lists. I've often done well with lists, and I'm hoping they will work for me here. This app is loosely tied to the "Getting Things Done" (GTD) model. I tried the true GTD model in my IT job but just couldn't put any heart into it. 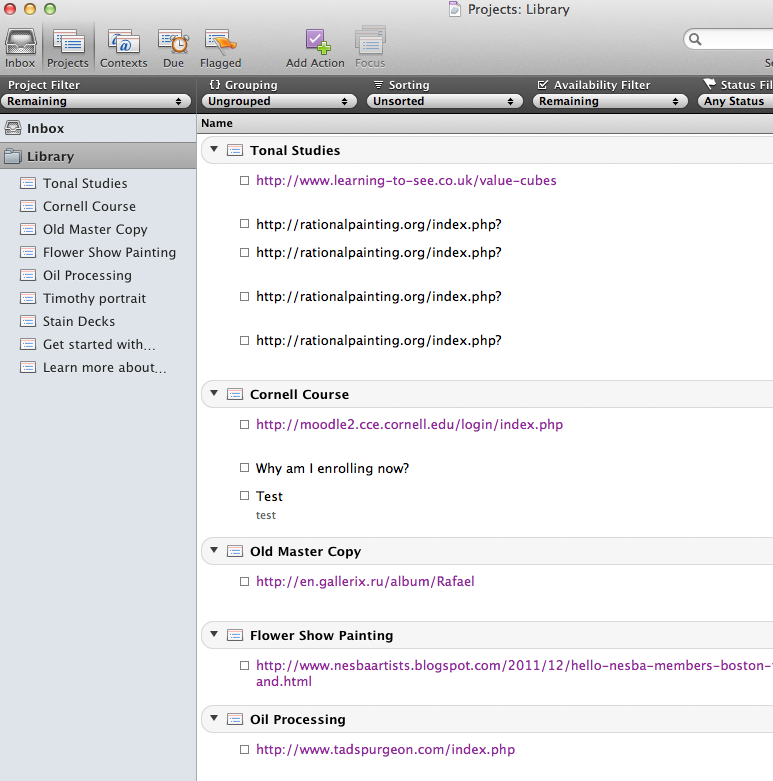 My goal is simply to create to do lists and a virtual file cabinet. I have this application installed on both of my Macs and tied to a free Omni Group secure online service for sharing my data. Sort of like Google Docs. The app syncs every hour and can be forced at will. There are even versions of OmniFocus for the iPad and iPhone.